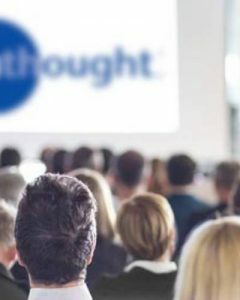 Truthought offers training the way you want it and when you need it. Join us at a scheduled event or host an onsite workshop for your staff. Identify thinking barriers that lead to problems in living. Redirect tactics and replace errant thinking and behavior with responsible thinking. Establish a universal language and consistent, evidence-based approach. Foolproof your expectations and consequences to ensure improved outcomes. Practice Truthought dialog to spur positive behavior and ownership of pro-social principles. 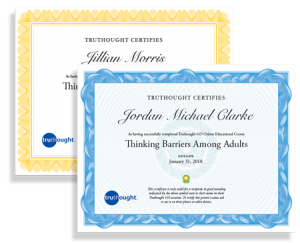 Form a culture for working with clients and students in person and with Truthought GO. We stay engaged with you in Truthought GO while you complete the remaining certification modules. You can review or repeat the training modules in Truthought GO at anytime!